• More durable white finish gets rid of unwanted glare. • White on green contrast with turf makes aiming simple. 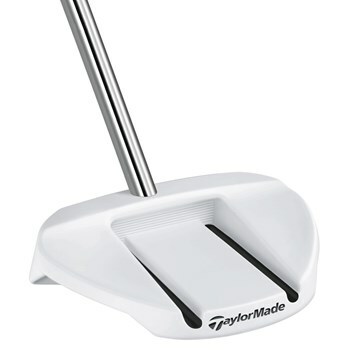 • Large mallet shape has great feel and greater stability on mishits. • PureRoll insert promotes forward roll for accuracy and softer feeling face. • Dual alignment lines aid in alignment and provide a clean yet simple look.